It really shouldn't have surprised me. My mother always has unusual requests. 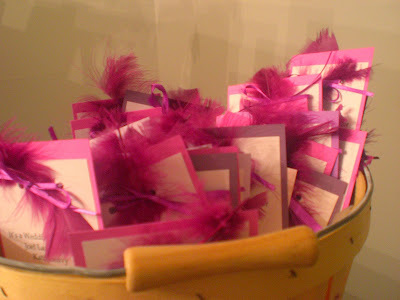 wedding shower invitations with purple feathers! There were feathers everywhere. I couldn't stop inhaling them. I got all the supplies ready, made the kids help me and then had 3 failed attempts! 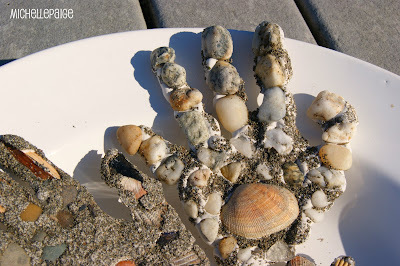 After much frustration (and almost out of Plaster of Paris), I finally figured it out. Of course they all broke before my mom got them home. Ugh. I don't even think I should mention the time she asked me to make her a bunny paper sack piñata for Easter. I was so embarrassed by my finished creation that I destroyed every picture she took of it! Come on, a grocery sack hanging from a clothesline that looks like a bunny? 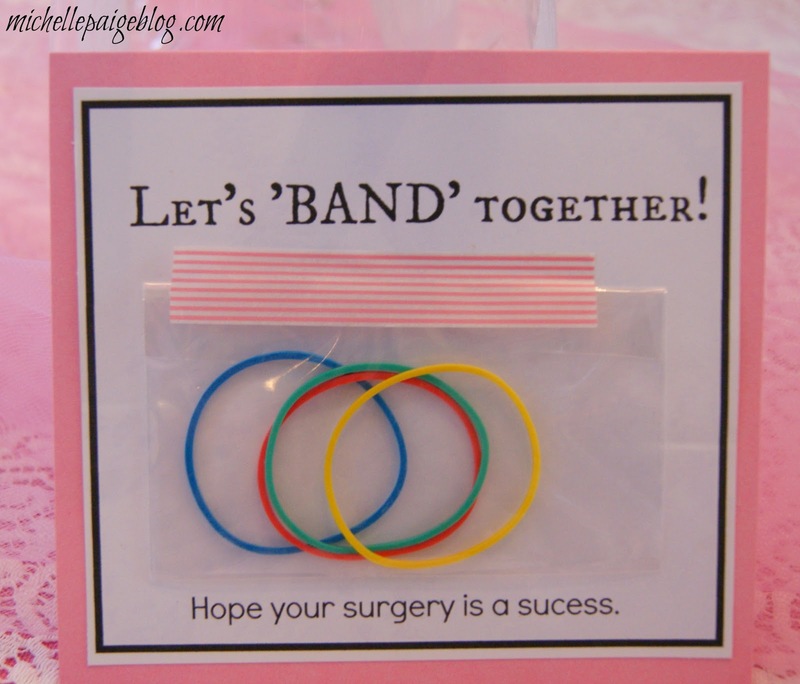 So...I shouldn't have been in shock when she asked me to make her a Lap-Band surgery card for a friend? What?! 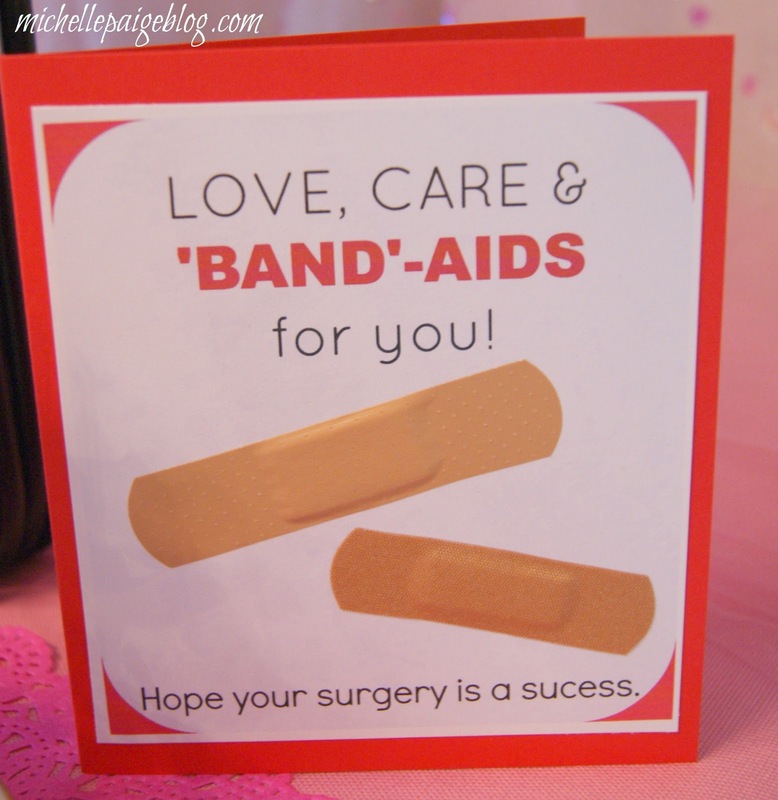 How about a simple Get Well Soon card? Now, I do love playful puns, but about Lap-Bands? Do people want you joking about their surgery? Isn't it sort of a private surgery? Do you really want to announce Lap-Band surgery on the front of a card? Fairly subtle, cute and involves 'Band-aids'. It doesn't really have a Lap-Band pun involved. It could be used for someone having any kind of surgery. I like it, no? OK, I'll try to make the 'band' a bit more obvious. Kind of cute with the rubber bands, right? Very obvious Lap-Band reference and everyone loves Washi tape. her favorite card was loud and clear. My mom was so excited for her friend to have this surgery and so excited for her to feel better and look better, so why not shout it out to the world? Why not be loud with support and love and care? I get it...I really do. and I'm happy to report that the surgery was successful and she's recovering well...AND she wasn't offended by the Lap-Band card humor. Thank goodness! here's the links to print your own. 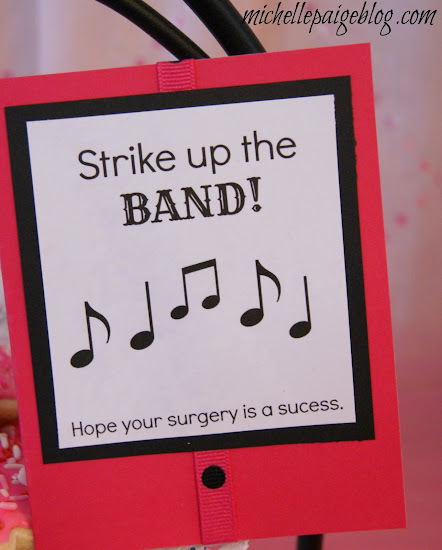 (Adhere each print out onto a blank card. Your cards are cute and this post is cute AND funny! So clever and cute Michelle! I love to hear about your other projects too. We all have many misses before we get a hit. This is definitely a hit! I think all three cards turned out great! !